The League Fixtures for our Second, Third and Fourth Teams have now been published. Toby Wastling's Second Team begin their League season on May 11th with an away game at Kidmore End. The following week they start their home campaign against Eversley. Wastling's men have a tough start with three of their opening four games away as they then take on Windsor on May 25th before a trip to local rivals Chesham at the start of June. Mark Bater's Third Team also start their League campaign with an away game as travel into Middlesex to take on Hayes. Their opening home game is a week later against Kew before an away game the following week against Farnham Common. The Fourth Team who had a perfect 100% record at home last season, will be delighted to kick off their 2019 season with a home game against Harefield before an away game against Old Merchant Taylors the following week. 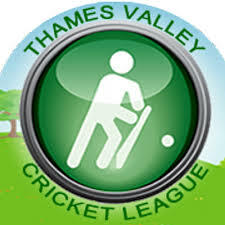 The first five games for each team are the opening part of limited overs games with the Second Team playing 50 overs with the Third and Fourth Teams playing 45 over a-side. The next nine games are time games before the final four games are once again limited overs.